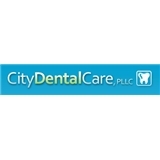 City Dental Care (Ridgewood) - Book Appointment Online! Welcome to City Dental Care PLLC. At the practice of Dorota Kwapisiewicz, DDS we are committed to understanding and meeting your needs as a patient because we know that having a flawless, natural-looking smile changes the way people think about themselves. It gives them a boost of confidence – they smile more, feel more outgoing, and new opportunities suddenly start to come their way. We take great pride in providing professional excellence, the best quality materials, and technology. We accept most dental insurances, PPO and union plans. Our equipment makes us one of the most technologically advanced offices in the area. We have digital X-ray, which emit 90% less radiation than standard X-rays. A flat-screen monitor situated directly in front of you allows us to show you your teeth and its problems. At City Dental Care PLLC you can even watch TV while you’re being treated. would recommend her to friends without hesitation. already recommended her to my wife.